Jose Maria Lopez (ARG), Dragon, Penske EV-2. Three-time WTCC champion José María López made the switch to Formula E for the 2016/17 season, competing with DS Virgin Racing (he won the WTCC with Citroen, where DS is the luxury brand). He picked up two podiums in his debut season but was replaced by Alex Lynn for 2017/18 after the Brit impressed in the New York City ePrix. Lopez had WEC commitments that weekend with Toyota and was unable to race for DS Virgin Racing. 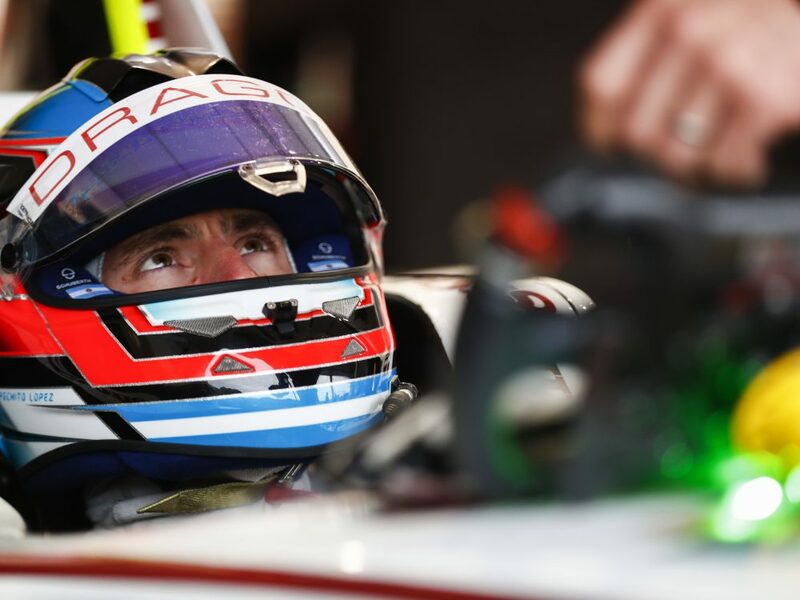 Lopez made a return to Formula E when Neel Jani left Dragon Racing after one weekend and two races. Despite not having the best results during a season full of ups and downs, Lopez was confirmed by Dragon as part of their Season 5 lineup, as the American team aims to be back in the top positions of the Teams' Championship.